Quiet peaceful carriage house nestled in the rural Alabama countryside. 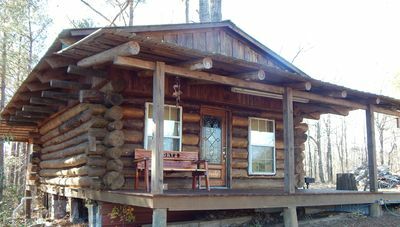 Blue Shadows is situated on 320 acres just outside of Greensboro, Alabama. 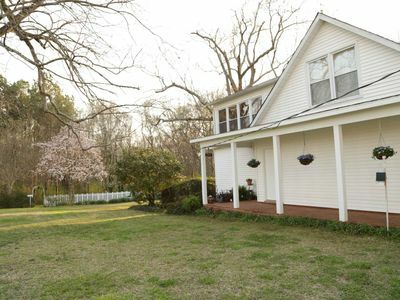 Large pecan trees, azaleas, gardenias, and magnolia trees fill the front and back yards. This quiet and secluded haven has a formal garden, nature trail, large barn and a 14 acre lake for sport fishing. Accommodations include a 3 room guesthouse with many amenities. Nearby in Newbern is the nationally acclaimed Auburn Rural Studio whose innovative architectural creations are scattered throughout the county. Within easy driving distance is the University of Alabama in Tuscaloosa.